The Telegraph - Travel - 25/04/2014: The Mediterranean island has sun, sea, a fine climate - and a wealth of wonderful historic sites. Juliet Rix offers a guide. Why go? Malta has plenty of sun and sea – and a fine climate – but its 7,000-year history is its most unique draw. The density of historic sights is greater than any other country. It has unique prehistoric temples, Roman catacombs, medieval towns, and the extraordinary legacy of the Knights of St John (the Knights of Malta), who ruled the island from 1530 to 1798. 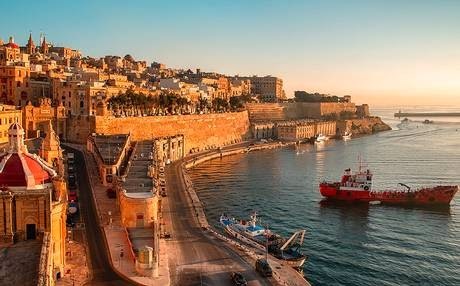 This itinerary tries to give you a taste of Malta from its earliest times to the present – as well as its excellent Mediterranean cuisine. It starts on foot in the capital Valletta (named after the Knights hero de Valette), then takes an outing to one of the country’s unique prehistoric temple sites, before ending up in Malta’s ancient capital, Mdina. Flying to Malta is easy. Flights take less than three hours and go from many British airports. All arrive at Malta’s one international airport, no more than...read on.